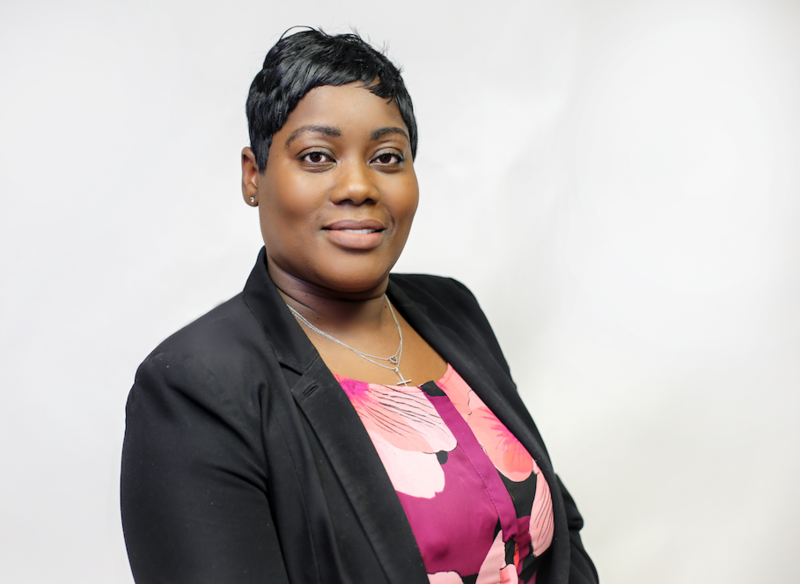 As a senior at the University of Saint Francis about five years ago, Mariah Knight wanted a way to share the creative talent she saw in Fort Wayne. 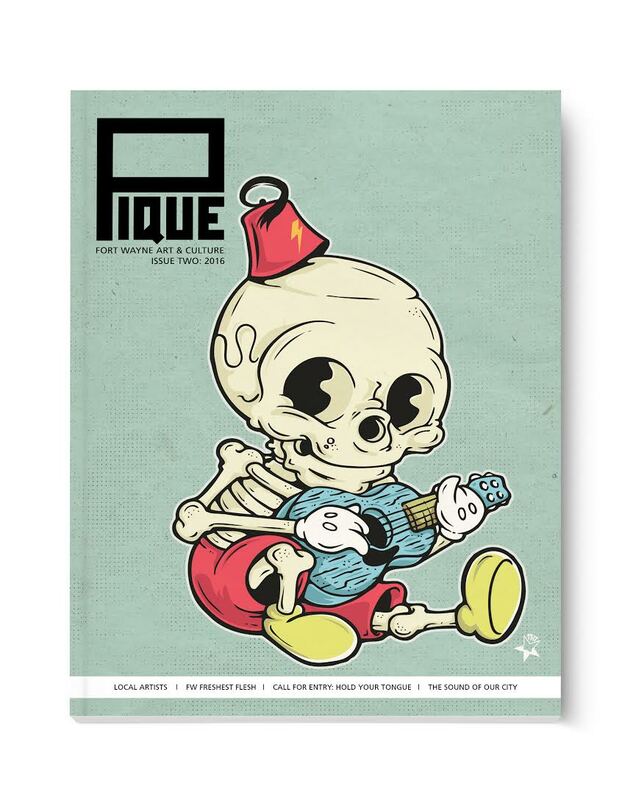 The first issue of Pique in 2015. 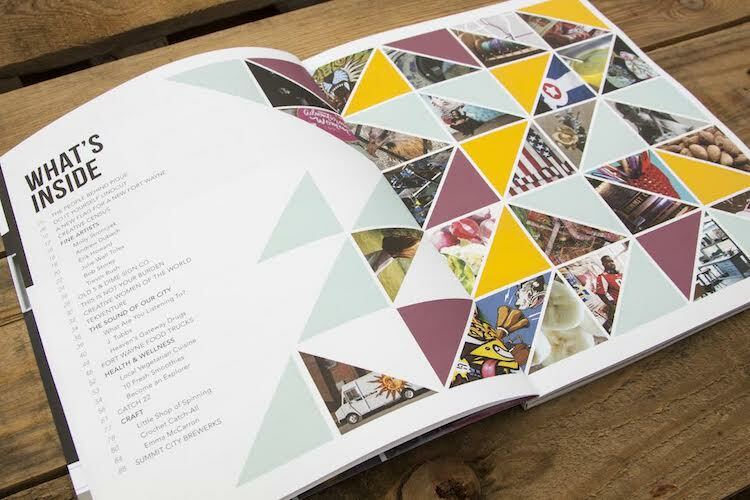 She was a Communication Arts and Graphic Design major with a concentration in photography, so she decided to put both of these skills together in her senior project and create a high quality, well-designed magazine to showcase the work shaping Fort Wayne's creative community. 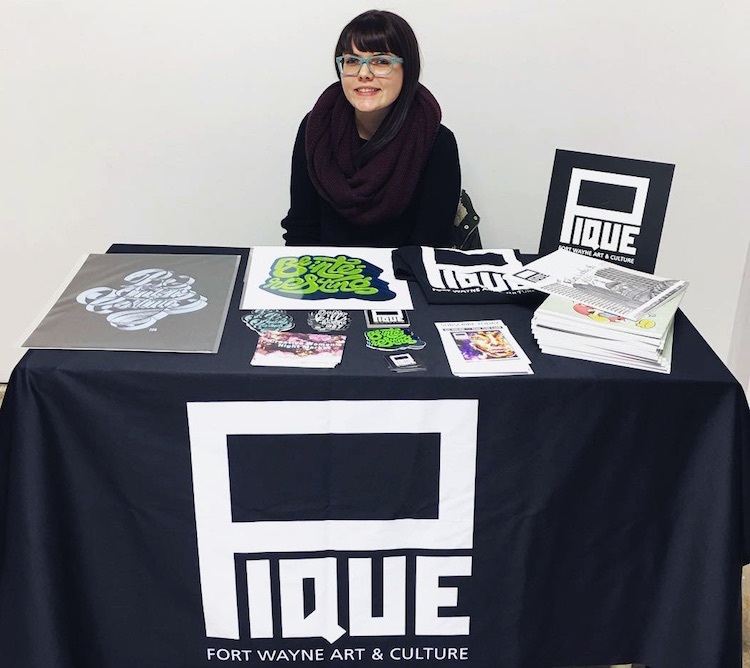 She called her publication Pique: Fort Wayne Art & Culture, and since then, what started as a project for school has evolved into a busy side hustle that's actively shaping not only Knight's career, but also the broader narrative of northeast Indiana's creative scene. 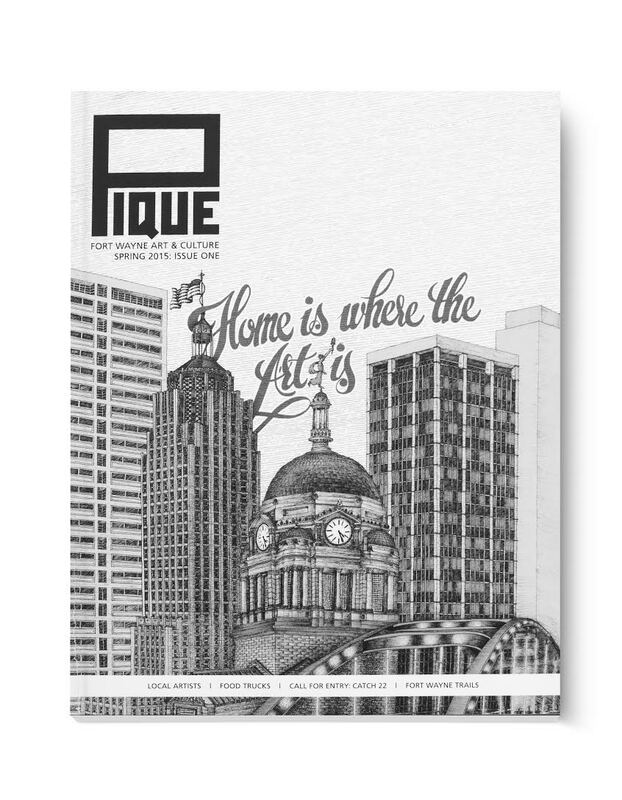 Now, complete with a website and a 90-page semi-annual print magazine, Pique is bringing the work of regional artists, writers, photographers, and more together in one place. It encourages local creators to learn from one other, and it allows all members of the community to experience Fort Wayne's art from the comfort of their coffee tables. On May 4th, Pique is launching its third publication, and to celebrate, it's hosting a free community Art Party that night at the Cinema Center where local artists will show their work in person. Input Fort Wayne sat down with Knight to learn more about Pique, and its latest publication that will soon be available on the shelves of local shops. Mariah Knight sells Pique magazines and merchandise at Wunderkammer Company. IFW: You created Pique for your senior project at Saint Francis. Why did you choose to create an art magazine in the first place? MK: Fine art, local art, and art history have always been extremely important to me as an artist. Before I decided to get a degree in graphic design, I actually thought that I was going to go to school for studio art and concentrate in oil painting. I decided to pursue graphic design and advertising instead, and I was fully immersed in the commercial world instead of the fine art world. So a part of me missed creating fine art and also missed being more involved in the community of artists creating that work. 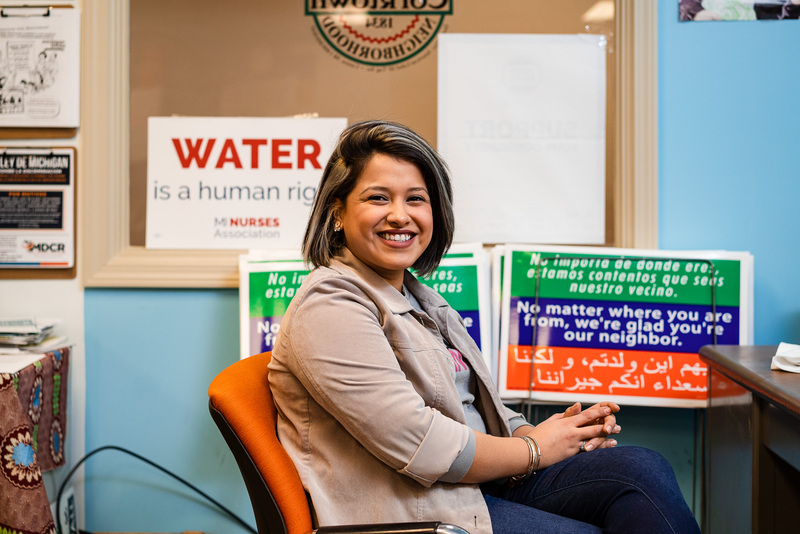 For me, Pique was a way to bridge the gap, and use my design skills to showcase different types of art and pursue the community involvement that was important to me. The biggest reason I wanted to make Pique was that Fort Wayne’s art scene was (and still is) growing like wildfire, and I wanted to record that and share it with our great city. I wanted non-artists to learn more about the art scene here, and feel free to come to openings and get involved. I also wanted artists to nurture and support one another even more than they already were, and I wanted more artists to move here and see that our community can be a hub for them. Pique features the work of Fort Wayne creators. IFW: In addition to producing Pique, you’re an artist yourself. Tell us about your work. MK: I am a graphic designer, and I design most of what you see for Pique, but I also create fine art photography when I can, or when the need to create hits. Typically, I do film photography or scanner-as-camera work. As far as scanner pieces go, my most recent body of work plays on the idea of the digital world encroaching on our life—shown through self portraits with organic elements that have digital glitches. These glitches are tough to see but showcase this theme subtly. I make a point of not drawing a line between commercial work and fine art work. Creating something is a thirst that I’m always attempting to quench. IFW: Tell us about the name Pique. Why did you choose it? MK: Pique (pronounced "peek") was one of the dozens of random words that I wrote down when starting this venture in 2013. Of course, the later is the meaning that I had in mind when I created it. We want to "pique your interest," and we want to showcase artists, musicians, and stories that do that, as well. IFW: How has Pique evolved over the years? The second issue of Pique in 2016. MK: From the beginning, our magazines have brought a ton of original content to print lovers, and in the last few years, we've been building on that momentum. When I created Pique for my senior project, it was two 64-page magazines. Now it's 90-pages, and it's gone from an annual print publication to a semi-annual publication with a strong web presence. We're producing magazines every spring and fall, and we create new posts on our blog every week. In addition to this, we have some big plans in the works to facilitate more pop-up galleries in our off-seasons. So we now have a year-round presence in the community, which has always been our goal. Another way that we have evolved is through the types of content we're producing. We are trying more and more to post pieces that tell stories in creative ways—through illustrations, photography, documentation, humor, and more. 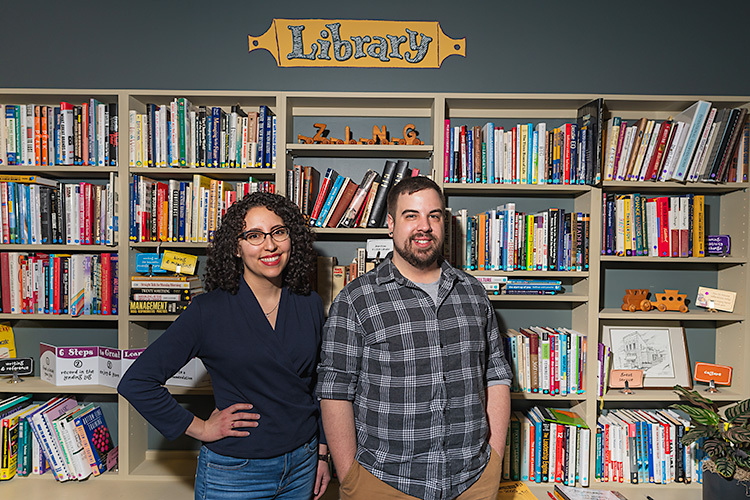 Our team is full of creative thinkers who enjoy talking about the arts and culture of our city, and we want to open that conversation up to our community and share it a variety of ways. IFW: How many people help you produce Pique? MK: For the production of the print magazines, I do most of the design work. Then we typically have 5-8 contributors who write articles, produce copy, and take photos. We also have a blog on our website, and we pay local writers and photographers to create content for that, so we have close to 30 people all together. IFW: To showcase regional art in the print magazine, you have an open "call for entry." How does that work? MK: A few months before the magazine releases, we post the call for entry theme, and ask artists to submit work according to that theme for the magazine. The art has to have been created within the last two years, and the artist must live in Fort Wayne, our surrounding cities, or be from here. Artists are welcome to submit as many pieces as they wish. This year, we had 80 entries. After that, work is judged by local artists, and 15 pieces are chosen. These pieces are printed in the magazine, hung at our opening, and displayed on our website. 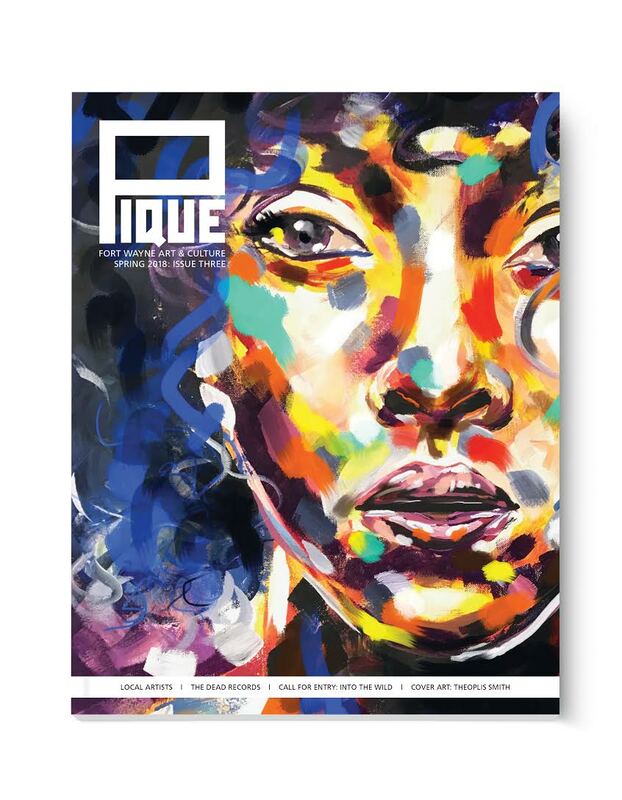 Pique launches new issues of its magazines with Art Party openings. IFW: How do you decide what makes the cut to get into the magazine? MK: We try to feature artists and stories that compliment one another and cover things that are up-and-coming, or new and exciting. In addition to this, we pay extremely close attention to the timelessness of each piece that is in the magazine. These are meant to be evergreen pieces that tell stories or showcase information that is not only relevant today, but will also be interesting to read 10 years from now. The level of quality presented in the magazine is such that it is meant to be collected and kept. Pique lives on coffee tables and bookshelves, forever, essentially. IFW: Wow. The art of print seems so permanent and timeless compared to the ever-changing world of digital and social media. What makes print special to you? MK: Printed media has always been special to me. I do not believe that print is dying, as some people like to joke around and suggest. I work for an amazing local print company and consider myself a print nerd and connoisseur of print. I have an intense collection of books and magazines, both of which utilize printing and design. The haptic quality of magazines is what draws me to them. I want to touch, smell, and tear apart the printed things that I own. I’m a huge fan of cutting up magazines and hanging the work on my walls, or saving clippings for future art projects and inspiration. The spring issue of Pique invites readers to do the same. We have recipe cards that we encourage our readers to remove and save in their recipe box. We have poetry and full-page art pieces that are perfect for someone who wants to decorate their walls with local work. 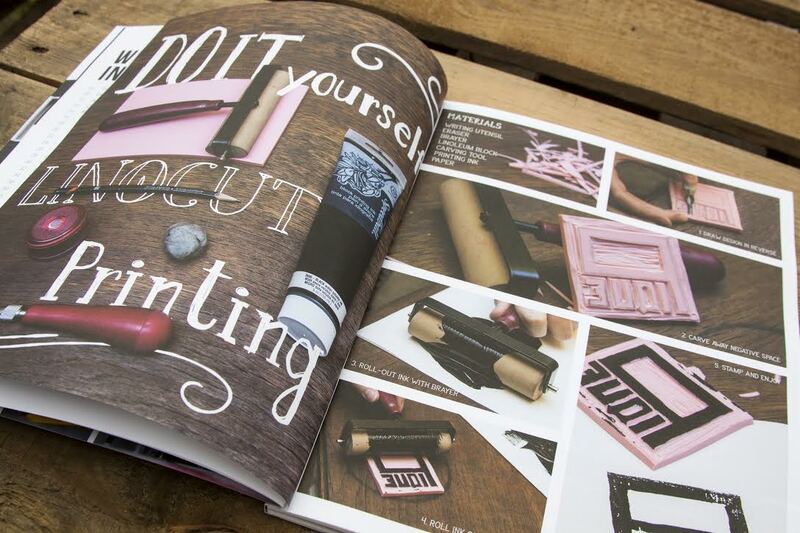 In addition to highlighting the work of local artists, Pique features instructions for DIY crafts. 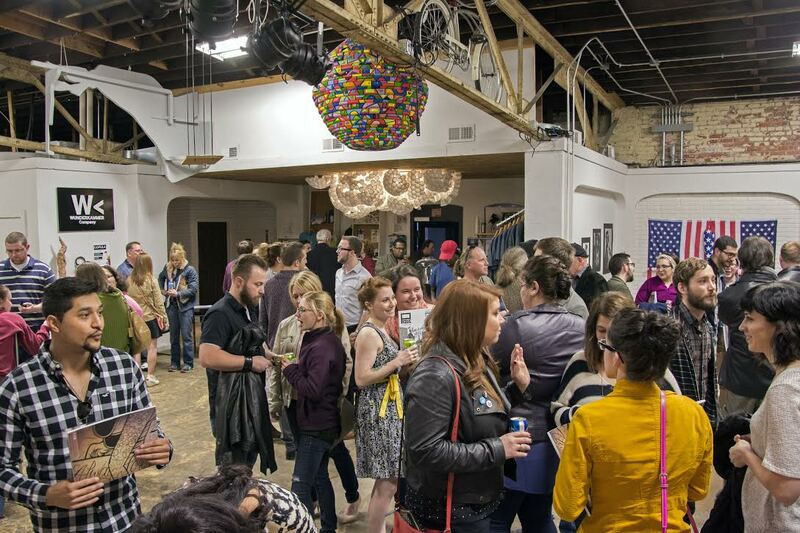 IFW: What are some of the biggest things you have learned working with Fort Wayne’s art community? MK: We have such a great community of local artists. The number of artists who are doing amazing things here and supporting each other is really inspiring. I’ve been surprised times 10 by all the incredible things that are going on and how much even people who aren’t artists themselves want to support the art community here. 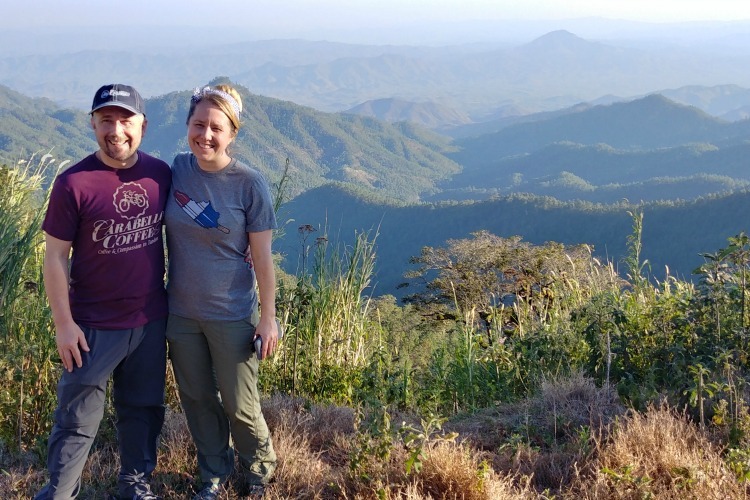 But I do think that, as far as challenges go, it’s easy for people here to get comfortable in their communities rather than grow and become more inclusive and welcoming to different types of people. IFW: Your spring magazine is about to come out, and you have an Art Party opening for it coming up on May 4th. Tell us about that. MK: I am so excited about our Art Party on May 4th at the Cinema Center Lounge from 6 p.m. - 9 p.m. It's free and open to the public, so we want everyone to come out and see what we're about. All of the artists that are featured in the magazine have been invited to display their work, as well, and it will be up at the Cinema Center until May 20th. We will also have the 15 pieces on display that were chosen from our call for entry for this season: “Into The Wild." In addition to that, not only will there will be a cash bar and Bravas food truck, but we have some other killer stuff going on. The Love Symposium and The Poem Market will be there doing their thing, sharing good vibes with our event-goers, and we are teaming up with Sweet Lemons to create an interactive art piece on the spot. The art piece will be created by our attendees. They will post photos utilizing a specific hashtag, then these images will be printed and applied to a large board to create a mosaic that will display our Fall 2018 cover art! Of course, we will be selling our magazine for $15, and subscriptions (two magazines per year) for 2018 for $25. T-shirts, art prints, and stickers will be available, too. There is also an after-party. Meet us at the Brass Rail around 10 p.m. to see Best Sleep, Sad Gravity, and an awesome headliner (not yet allowed to be announced). Those who can make it to our opening will receive a discount at the door of the after-party. IFW: How can people in the community purchase Pique or interact with it? MK: Currently, Pique is available to purchase at the Fort Wayne Museum of Art, Artlink Contemporary Gallery, Fancy & Staple, The Hedge, Firefly Coffee, Visit Fort Wayne, Crestwoods Frame Shop and Gallery, and Collective State. You can also check it out from the Allen County Public Library, or purchase it directly from us at piquefortwayne.com. As far as community interaction goes, we post weekly on our blog and social media. We want to stay in the conversation about what's happening in Fort Wayne, and we want to help facilitate progress here, too. One thing we want to do is have pop up art galleries and shows, and find ways to provide things artists need, such as studio spaces. That is something we’re gathering information on right now to figure out next steps, so stay tuned! IFW: How can artist or writers submit their work to Pique? MK: We love to hear from artists, writers, musicians, and anyone with a story to tell. Please email us at piquefortwayne@gmail.com with your information. Full Disclosure: The author, Kara Hackett, is also a writer and editor for Pique: Fort Wayne Art & Culture.